Michael Ermer is the managing partner of the Newport Beach office of Irell & Manella LLP. Michael focuses on complex business cases, including intellectual property litigation, trade secret litigation, insurance coverage litigation, securities litigation, real estate and construction litigation. He has a vast range of experience in business litigation, having litigated cases involving patent infringement claims, intellectual property license agreements, theft of trade secret claims, trademark infringement and copyright claims, securities claims, antitrust investigations, business torts, contract disputes, class action disputes, wrongful termination and other employment claims, administrative law claims, insurance coverage claims, environmental claims, construction defect and delay claims, real estate disputes and white collar criminal claims. 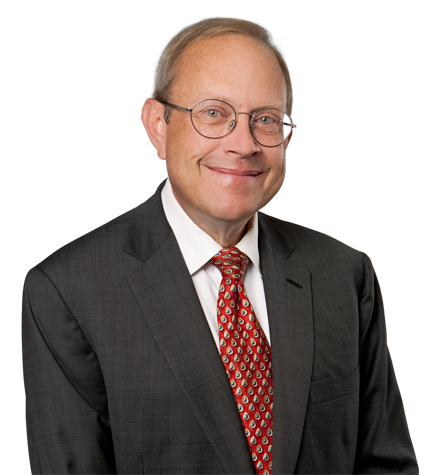 Michael has also assisted in the mediation of several types of cases, including patent infringement cases. In addition, Michael maintains an active pro bono practice and currently serves as chair of the firm's Pro Bono Committee. Under his leadership, Irell revamped its pro bono program, resulting in a dramatic increase in pro bono hours and lawyer participation and numerous awards, including the 2013 California State Bar President's Pro Bono Award, the 2013 Century City Bar Association Pro Bono Law Firm of the Year Award and the 2013 Public Law Center Law Firm of the Year Award, among others. Maintaining family and business ties to the Midwest, Michael is a co-owner of a nationally known blues and jazz club in St. Louis. Successfully represented an international company as plaintiff in a securities fraud case in Florida involving violations of Florida’s blue sky securities fraud statute, obtaining summary judgment and a resulting damages award of over $35 million. Successfully represented Acano Limited, a privately held company based in London, that provides collaboration software and hardware in its $700 million acquisition by Cisco, including obtaining U.S. Department of Justice antitrust division approval for the transaction. Successfully represented several high technology companies in the biotechnology, semiconductor and hard drive industries in intellectual property disputes. Successfully represented a multinational investment company in a $50-million dispute over investment in energy technology. Successfully represented a policyholder in trial and through appeal to the Illinois Supreme Court, resulting in over $30 million in coverage for a claim involving the largest PCB contaminated site in the United States. Achieved multiple successes in obtaining preliminary and permanent injunctions in trade secret cases, including coordinating criminal prosecution of defendants. Obtained summary judgment in various cases, including several wrongful termination disputes with summary judgment upheld on appeal. Obtained a preliminary injunction against the California Department of Corporations concerning invalid regulation of escrow agents. Won dismissals of federal court litigation and antitrust investigations in cases involving satellite television decryption technology. Successfully represented a professional football franchise, major real estate developers, airlines and a number of other businesses and individuals in a wide range of disputes.